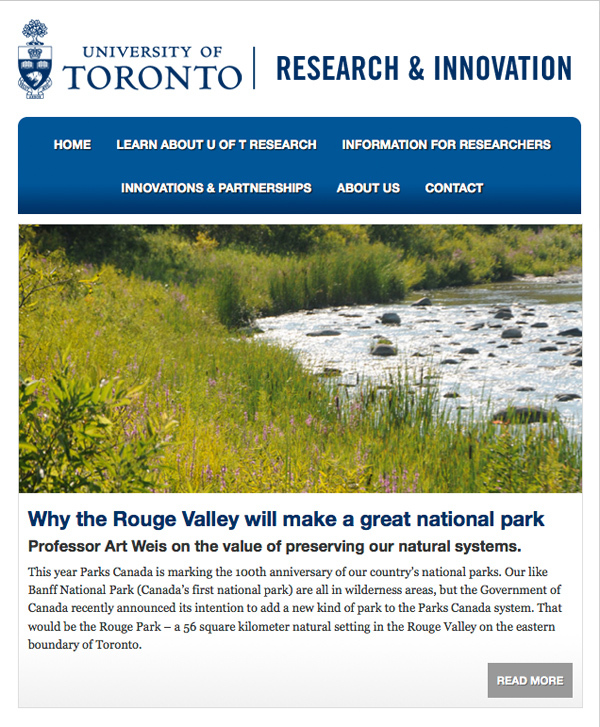 I designed and developed this website when I worked at U of T in the Office of the VP, Research as a complete overhaul of the non-responsive site that was there before. 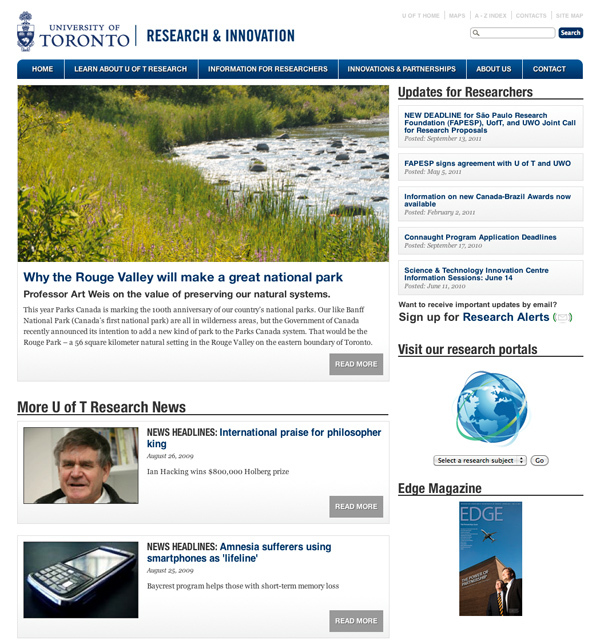 The aim of this redesign was to drastically declutter the site and to simplify the experience for all visitors, from external audiences to researchers looking for information. 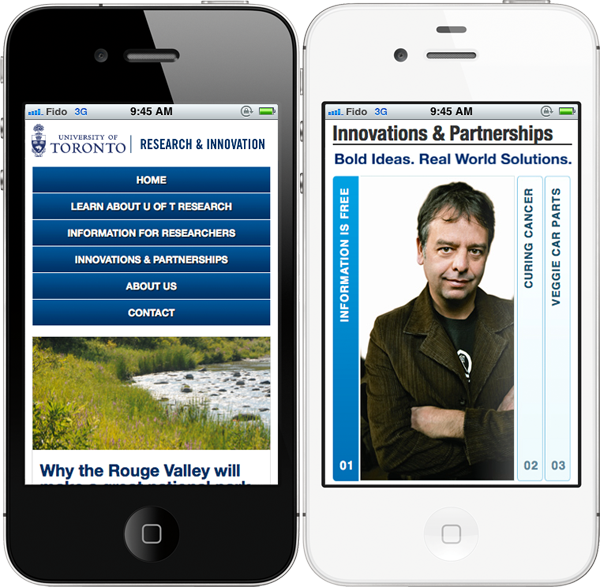 On the technical side, I developed this as a WordPress website using new (well, at the time!) HTML5 semantic tags. I also took advantage of CSS media queries and a fluid, percentage-based layout to make the site scale gracefully from full-sized to mobile. This was my first large-scale responsive project, and although it took a bit of time to wrap my head around it at first, it was really rewarding in the end.